Oodles of Ways to Have Fun With Pumpkins! Want to have a little pumpkin fun besides the usual jack-o-lanterns? Lowe’s suggests using hardware to make all sorts of whimsical, wonderful little pumpkin creations. Oasis Accents tells how to make glittered pumpkins. The Magic Onions posted the delightful idea of letting kids pound nails in and then string yarn on their creations. 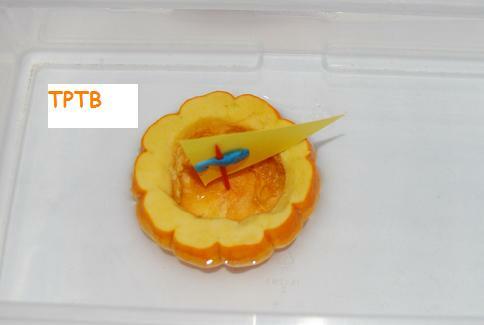 The Preschool Toolbox made sweet little pumpkin boats. 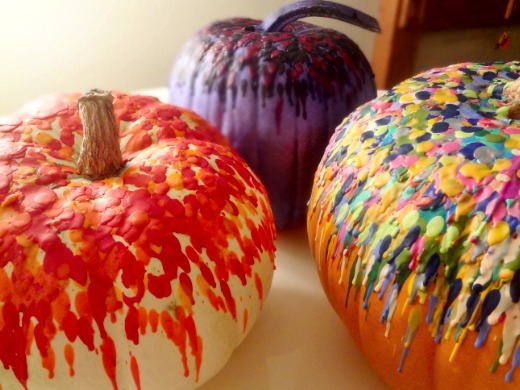 The Swede Records featured some gorgeous melted crayon pumpkins. Sweet Paul made this lovely little pumpkin diorama. Country Living has a whole slideshow of fun ideas, including using stencils, decals, paint with painter’s tape, and more. And for a few more ideas, check out my round-up of 35 Ways to use pumpkins for crafts, entertaining, education and more. What’s your favorite way to use pumpkins? what a fantastic round up! I am so making that boat for Little’s bath tonight!